China’s civil case filing system has turned comprehensively from examination system to registration system, having actually established the petition model with the core of petition registration. The registration system is not only a simple problem regarding petition registration, but a fundamental procedural problem regarding the connection between “suit” and “case”. The filing difficulty in China has its complex origin and reason, which can not be completely overcome by simply emphasis the strengthening of filing procedure in abstract context. Actually, further detailed reforms or interpretation of the existed provisions need to be weighed on legislation and judicial levels. Case filing refers to the procedure that the court officially acknowledges a suit from the plaintiff as a case belongs to certain court. The external symbol of the officially acknowledgement is to offer a reference number for the case, which means the court actually accept the suit and will conduct legal process according to civil procedural law. So as a research subject, filing system should not be superficialized as the procedure of obtaining a reference number, it contains a series of questions about the process and especially the preconditions on how a suit accepted as a triable case. In general, the modern filing system can be divided into filing review system and filing registration system: the filing review system requires examination of substantial elements in the filing stage, whereas the registration system embodies the complaint mode. Registration mode is not merely a theoretical concept, but a summary of judicial reality, each of which has its social background and institutional significance. The suit-case mode and triabe-case mode and complaint mode are called different patterns, not because some lacks the content of another pattern, but because the content of the procedure is different before the case is obtained. Regarding the time of getting the reference number as the dividing line, the content required before filing shows different forms, but as far as the proceedings are concerned, there is no substantive difference. Any trial of a case must go through the submission of the complaint, the court’s review of the suit, the review of whether the trial can be done, and so on. At this point, there is no difference between the three modes. In other words, the basic content of the whole proceedings is the same, but because of the different time point of observation, the content of filing procedure is also different. This is also the manifestation of the transformation from the case filing examination system to the filing registration system in China’s civil procedure. It is because of the lack of substantial difference on the content of the program between the different legal modes, the significance and value of model is mainly reflected in the program and form. If we try to solve the substantive problem of judicial procedure with this, we still need to pay more attention outside the procedure of filing a case; conversely, in reality, different filing modes may cause substantive differences in litigation procedures and the protection of the rights of parties. This difference is not simply from the so-called registration model, but from the relevant provisions of the mode. Therefore, the change of the filing mode is manifested in the form of procedural changes in a large extent, and its meaning and value should be combined with the relevant supporting system, which should also be a theoretical basis and logical starting point for discussing the registration system. The registration system adopts complaint mode. It refers to the case that the court submits the case as long as the party submits the complaint to the court. This form of filing is mainly by registering the complaint in the registration book and obtaining the reference number so as to become turn into the case of the court. The complaint mode puts forward some formal requirements for filing cases, but there are two different views on whether the formal requirements affect the court’s giving reference number to form a case: one view is that if the complaint does not conform to the requirements prescribed by law, the court shall dismiss the complaint as well as the reference number of registration. Only in line with the statutory requirements of the complaint, can the court give the reference number to make the case registered. Another point of view is that, whether the litigant’s complaint meets the legal requirements, the court should register the reference number, even though the court may reject or decide not to accept the complaint afterwards. But the rejection of a complaint is made on the condition that the suit is a case belongs to the court, which, in return, means it should have a reference number. If the court does not register the complaint just because it does not meet the requirements, then the court also need to set another case-number-system separately while rejecting or deciding not to accept the case. Obviously, it is less convenient and feasible than registration at the first place. To strengthen the procedural safeguard function of the case and to solve the difficulties in case filing, our country tends to change the review system for case filing into the registration system for case filing. But it should be realized that the root causes of our problems that exist in the registration process are intricate and complex. It comes from not only the filing link, but also from other factors. We need rational thinking, if we want to reform the registration system and solve the problem that impede upon its theoretic value. The long-term application of the review system in China has been criticized, and is also considered to be the main cause of the ” difficulties in case filing.” But it should be realized that the resisting problem of ” difficulties in case filing ” in China, in most of the cases, is not the simple legal and procedural issues, but the natural response of social problem in civil procedures. Under the special social situation in our country, many disputes need to be solved. The public and academic are looking forward to court to take the responsibility, but unfortunately, because of the subjection to the authority and ability, the court is unable to undertake this task. In this way, long-term adherence to the “reviewed” case mode and substantial review of cases could be a rational and pragmatic choice. Even so, in judicial practice, it is not the common phenomenon in the case of ordinary cases, but the special phenomenon in the case of special cases. The key problem of those “difficulties in case filing,” in most of the cases, happens out of the court. It is a tacit knowledge that both the parties and the court know the fact and even some of the arguments that encourage courts to rule out interference. On this occasion, it is “a specific case” that is the reason why a particular case has ” difficulties in case filing”. If a particular case cannot be eliminated from the level of society, it brings up series of following problems on trial，even though the review of case filing is forcibly denied and the registration of complaints is carried out. The complaint shall be received and a case shall be registered and docketed, in order to carry out the complaint. If a new problem of “difficulties in trial” or ” no trial” is to be resolved after the resolution of problems of “difficulties in case filing,” the significance of the registering system shall be greatly reduced. Therefore, whether the case has been reviewed or not is not the root cause of the problem of “difficulties in case filing.” In any system for case filing, a review for the case filing is necessarily required. Under the registration system for case filing, there is no substantial review before the registration, and the content of the review is not reduced after the registration. The review itself is not in conflict with case filing. Although the registration system for case filing can solve the problem of particular cases formally, there is also much more work to be done in order to resolve the entity disputes involved in particular cases through legal procedures. The difficulties in case filing occur, when the plaintiff can not get the suit registered after submitting the complain. The most prominent phenomenon is the court sometimes refuses to receive materials, to reply, or to offer any interpretation through legal documents. This phenomenon stimulates the implementation of the registration system in China. In fact, “Interpretation of the Supreme People’s Court on the application of the Civil Procedure Law of the People’s Republic of China”, “Opinions on the implementation of registration system reform in the people’s courts of China” and “Provisions on Several Issues Concerning Registration of people’s courts of China” emphasize the principle together, namely, the court must accept the material and register the case as soon as their receive the complain, so that there is no room left for the court to remain silence and refuse to give any respond like before. From the formal point of view, the registration is the court to accept the party’s complaint, and to register it on the registry. If the registration can not enable the “suit” to obtain a reference number, so the registration has only a documented function in the proceedings, rather than procedural meaning. And the “suit” that has not been registered as a case is still wandering outside of the court procedures, and has not been turned into a procedural “case”. In this sense, the registration of the complaint is quite different from the court filing. But obviously, this is a misleading perspective that we should avoid in understanding or carrying out the registration system for case filing. Otherwise, the registration system for case filing would be dissimilated to the registration system that has no function for the transmission from “suit” to “case”. This misunderstanding will impair the system’s value and also leads to the risk of returning to the old path. But as we know, the basic and ultimate point of the registration system for case filing is to docketing the cases. As an abstract phase in the proceedings process, the filing of cases must be externalized into concrete measures to play a practical role. Specifically, the behavior of the registration count as the specific process measures in registration system for case filing. And if we want to make the registration have the expected effect of docketing, the court should give reference number when accepting the complaint, which could make the “suits” become the “cases”. Furthermore, on the litigation procedure, we should achieve the nature integration of function of the registration and docketing. Only in this way, the registration system for case filing can be separated from the review system for case filing and become a powerful tool to protect the right of appeal. In the registration system for case filing, if the complaint meets the formal conditions, the court shall register it as a case. However, if the complaint fails to meet the formal conditions, the party should provide supplements and corrections according to relevant stipulation. In our view, regardless of whether the complaint meets the conditions or has been provided supplements and corrections, it has no influence on the registration process. In the circumstance that the court rejects a complaint, it still need to offer a reference number in order to issue official documents. And only when the complaint was registered, a reference number can be assigned. If not, a new reference number is still in need afterwards. In this way, whether the complaint meets the formal conditions or not, assigning a reference number at the beginning is much more efficient. But shall the court register the complaint and docket a case on the spot, if it is difficult to determine whether the complaint complies with the law or not? All the new regulations have referred to this problem. For example, according to the “Opinions on the implementation of registration system reform in the people’s courts of China”, the court shall decide within certain time limit as prescribed in the law. In fact, with the implementation of the registration system for case filing, the threshold of registration and case filing will be observably lowered. And it is generally easy for common litigation to meet the conditions of case filing. In this association, substantive examination is not necessary, while formal examination also limited to the surface features of the complaint. Therefore, it won’t be common that the court face the difficulty to determine whether the complaint complies with the law or not. But when this extreme condition occurs, the registration system for case filing should be conscientiously implemented, and the court shall register the complaint and docket a case without substantive examination. Otherwise, the court will violate the judicial nature of the registration system for case filing. As mentioned before, when the court issues an interrelated legal instrument, a new reference number should be established in any case. Therefore, it is much more efficient to assign a reference number to the complaint at the beginning. Currently regulations enumerate a negative list of cases that are improper to be registered. If the substantial content of the complaint relates to such matters, the court shall reject to register the complaint. 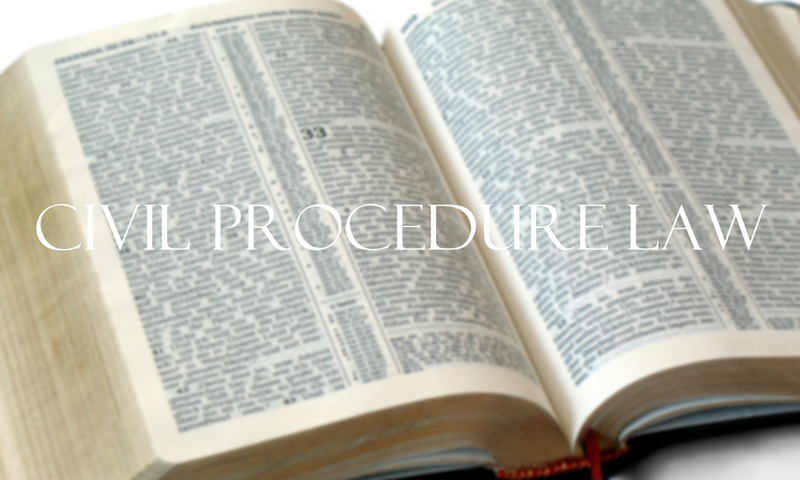 However, the specific procedures are so far not clear. And it is not clarified whether an interrelated legal instrument is supposed to be issued. Therefore, two methods may be taken into consideration: One is that complaints dealt with the negative list are not supposed to be registered, while the interrelated legal instruments should not be issued. In this view, registration and legal instrument numbers is avoided, which means the cases won’t be formed. But some problems may arise instead. This handling is not in conformity with the principles of registration system for case filing. While the registration system is being boosted at present, it is inappropriate for the court to ignore the complaints lodged by the parties. The other path requires that general legal instruments, like notice, need to be issued, while formal legal instruments should not. Although these registrations and legal instruments numbers should be assigned, they are just numbers that handles transactional work, whose functions are very different from those of reference numbers. In our perspective, if the court is able to determine whether the complaint comes within the negative list or not, the complaint should be written on the other register rather than be registered, and the court inform the parties of handling opinions in writing. If not, the court shall register the complaint and docket a case. After this, the court can only choice to dismiss the action if it finds the complaint comes within the negative list. Moreover, although the regulations prescribe a negative list of cases improper to be registered and docketed, but did not consider how to handle those evidently inappropriate complaints. The so-called evidently inappropriate complaints are those complaints, like suing aliens, which are effortless for sane persons to determine at first sight without deep thought. If the courts are required to issue legal instruments to this kind of complaints, judicial resources will be absolutely wasted, which is of no necessity. However, if the courts give no response, this treatment may violate the requirement of the registration system for case filing. What needs emphasis is that, with the developing of the society, existential space for negative list, which exists a product of certain historical conditions，will be gradually limited and even eliminated. But those evidently inappropriate complaints will always be there. The purpose of the trial is to protect the right of the parties and the proper development of the judicial proceedings. With the level of rule of law improved, it will be a normal condition that the court ignores those evidently inappropriate and nonsensical complaints. Only those complaints meeting legal requirements, not all complaints, can be registered. It’s unquestionable that the society should be told the legal complaint procedure, under which the parties’ complaints would be registered. Otherwise, the court and the parties will get tangled up in the registration process, influencing the implementation of the registration system for case filing. The so-called complaint procedure refers to the written form of the complaint and work process of the court. Complaint procedure shall be clearly provided by legislation, judicial interpretation and model instrument or litigation process guidance of the Supreme People’s Court. And complaint procedure shall be formatted, standardized and explicit so that any normal person is able to determine whether the complaint meets legal requirements by comparing it with the complaint procedure. In this way can superficial examination by the court be of feasibility. If the conditions permit, the court may also make a unified form of the complaint, while the parties are only required to fill out the form. For oral prosecution, the court’s litigation service center should assist the parties in writing complaints meeting the legal requirements. From accepting the complaint to docketing a case in the review system for case filing, a certain time lag is set apart for the court to review the complaint, which is inevitable requirement and essential condition of the review system for case filing. Otherwise, even though a review to the complaint is required by law, the time for the court to do a review is still not enough. In the process of changing the review system for case filing into the registration system for case filing, some courts have some practices that do not meet the requirements of registration system, partly because of the long-term thinking inertia before. But one reason must be underlined is that above-mentioned time lag set apart objectively provides procedural space for the court to review the complaint. In the real registration system for case filing, the acceptance of a complaint and the registration of a case are usually two aspects of one thing. That is, the registration is just the form of the acceptance of a complaint, while getting a reference number and docketing a case are just natural result of the registration of a case. Procedural space doesn’t, and is not necessary to, exit between the acceptance of a complaint and the registration of a case. Registering and docketing a case on the spot is required in the registration and docket procedure, in order to completely carry out the registration system and leave no procedural space for reviewing. Temporally, the courts is required to accept the complaint, examine it simply and superficially, register the case, and assign the reference number, which is a centralized and coherent procedure process. Spatially, the acceptance of the complaint and case-filing register should be conducted in the reception office of the court publicly. All the procedural matters concerning file registration system should be accomplished in the front of the party and on the spot, for fear of leaving the time and space for substantial examination and improper interference, much less for finding reasons of rejecting the complaint. It should be aware of that the most obvious procedural difference, between the review system for case filing and the registration system for case filing, is whether the court can directly docket a case after the party files a complaint. If the court shall make a decision after a certain time lag rather than directly docket a care, the boundary between the registration system and the review system will be difficult for the parties to distinguish in the appearance of the filing procedure, even though the substantive examination is not required. The social effects of registration system for case filing will be greatly reduced in this way. If the court takes a superficial examination and finish a series of registration work in front of the parties, they won’t feel the difficulties in case filing, the time spent on registration stretched though. In this significance, registration on the spot also has the special effect of strengthening the difference between the registration system and the review system, which makes the effect of registration system in judicial practice more prominent. In the registration system for case filing, a complaint will quickly and simply enter into judicial proceedings, while the details examined out of procedure in the review system for case filing will be incorporated into judicial proceedings. And this is exactly the essence of the registration system. Consequently, case registration and docket only means that the court has finished the surficial review, while further examination is needed to determine whether the case complies with the requirements of litigation and then becomes a case for trial. Requirements of litigation refer to three points: (1) the jurisdiction and qualification of the court. (2) capacity of party, capacity to action and the right to conduct litigation, mainly dealing with whether the parties can participate in the litigation. (3) litigation object, dealing with the justiciability, legality of lawsuit, litigation dependency, res judicata and right protection demand of the right claimed. When the case is incorporated into judicial proceedings, the court needs to conduct a substantive review over the right of the party. In this period, the court should ensure that both parties participate in the proceedings, make necessary statements and debates on the qualification of the case. To acquire lawsuit material, Germany law combines adversary system with exofficio system. According to Germany law, for one thing, if the court is unable to determine whether the case complies with the requirements of litigation, interpretation power can be exercised to urge the parties to submit relevant materials, but the court shouldn’t collect materials by itself on authority. For another, the judgment of the court is not subject to self-admission, nor does it impede the authority of the court to identify the facts different from self-admission by evidence investigation. Connecting with the reality of China, if the court reviews the case registered and docketed and determines that the case doesn’t meet the requirements of litigation, a hearing shall be hold so that the party can make necessary statements and debates on the qualification of the case. If the court determines that the case doesn’t meet the requirements of litigation indeed, the case should be dismissed in the form of a ruling. If the party refuses to accept the decision, he has the right to appeal. The people’s court has gradually established a process of establishing a registration system that meets the requirements of the situation in China. At the same time, it is also a matter for the people’s court to keep pace with the times, take the initiative to reform and arm themselves with the laws of the people. First, filing registration system is conducive to promoting a deeper level of judicial publicity. In view of the significance of the filing system, the transparency of filing activities serves as a precondition for the transparency of the whole procedure. In addition, the registration system also requires the people’s court’s reasonable verdict when it not to accept or not filing the case, which represent the transparency has been fully infiltrated into the stage of filing. Transparency belong to the scope of the judicial open policy. This is a substantive and thoroughly way for judicial openness, that is to say, every step of the process of filing a case from the beginning of this process will be made public. Second, the registration system complies with the judicial principle of “the right needs to be supervised”. In the internal and external reviews, the people’s courts spread the work of filing cases by relying on the internal supervision of the courts (that is, self-examination by courts and supervision by higher people’s courts), supervision by NPC, CPPCC and procuratorial organs, listening to social supervision, so as to refine the right to the correct limits. Third, the filing system complies with the judicial principle of accountability. In the logistical post supervision of filing the case, it is clear responsibility to assume and strengthen accountability. The regulation made detailed provisions in this regard. The People’s Court will step up supervision by the supervisory department on the enforcement of archival filing work. Once it finds that there is no case, delay in filing a case, placing people under the control of the people, ending the case without filing the case at the end of the year, or interfering with the filing of a case in accordance with the law, responsible personnel and competent leadership will be strictly investigated according to law and discipline. In the transition to a filing system, people’s courts should handle the three major relationships: First, the relationship between the capacity of justice and the needs of the public; second, the relationship between the utilization of judicial resources and actual utility; third, the relationship between the quick registration and simple procedure afterwards. This means that the time limit for implementing certain judicial reform measures needs to be put forward in advance. The courts must also be alert to new problems that may arise during the implementation of the contingency system and withstand the temporary and partial tests of the transition. First, forcing the courts to reform the trial methods. After the registration system is put into effect, the contradiction between “more cases and fewer judgers” will be more pronounced by the people’s court. Therefore, the reform of trial methods will be imminent. On the one hand, the diversion between different procedures is put on the agenda. For example, we should explore and construct speed arbitration mechanisms for criminal and civil cases, modify civil summary procedures, and improve civil procedures of small claims. On the other hand, the stratification and diversion in the procedural structure need to be vigorously implemented. For example, strong emphasis should be given to the simplification and simplification of pre-trial preparation procedures in filtering cases. The regulations like evidence exchange and time limits for evidence proof need to be put into practice. Besides, in order to prompt more cases to be solved before the trial, the rules of pre-trial case management need to be strengthened. Second, the reform calls for the sanctions to sanction procedural abuse. It should be realized that there are many meaningless cases pour into the people’s courts. As a result, the reform put forward the following suggestions: “We must step up the construction of good faith in litigations and increase the punishment of false litigation, malicious litigation and unreasonable acts, so as to maintain the normal order of filing according to law. ” However, the establishment of rules of sanctions also requires the people’s court to strengthen theoretical construction and actively summarize experience in identifying abuse of litigation in trial practice. Third, the reform urges to activate the effectiveness of diversified dispute resolution mechanisms. While giving play to the judicial function, the courts need to further improve the system of dispute resolution through mediation, coordination and mutual coordination such as mediation, arbitration, administrative rulings, administrative reconsideration and litigation. Set up a platform for mediation organizations in the litigation service center, implement the systematic judicial confirmation for mediation, and improve the convergence mechanism of arbitration and litigation. Through the effective case filing reform, more disputes will be lead to the alternative dispute resolution mechanism. 1. Lu Yongdi, From examination system to registration system: the role of the court, China Legal Science, 2016(2). 2. Xu Shanghao, Qu Yejuan, The essence and construction of the case registration, Theoretical Exploration, 2015 (2). 3. Cai Hong, Li Tangjie, The review of the juridical logic of case registration system, Legal Forum, 2016 (4). 4. Jiang Shuzheng, The dilemmas in the practice and its cause in regard of registration system, Shandong Justice, 2016 (2). 5. Tang Li, The recognition of the reform of registration system, Law Review, 2017 (3).